I went to work at Poke today, for the first time in a couple of weeks. 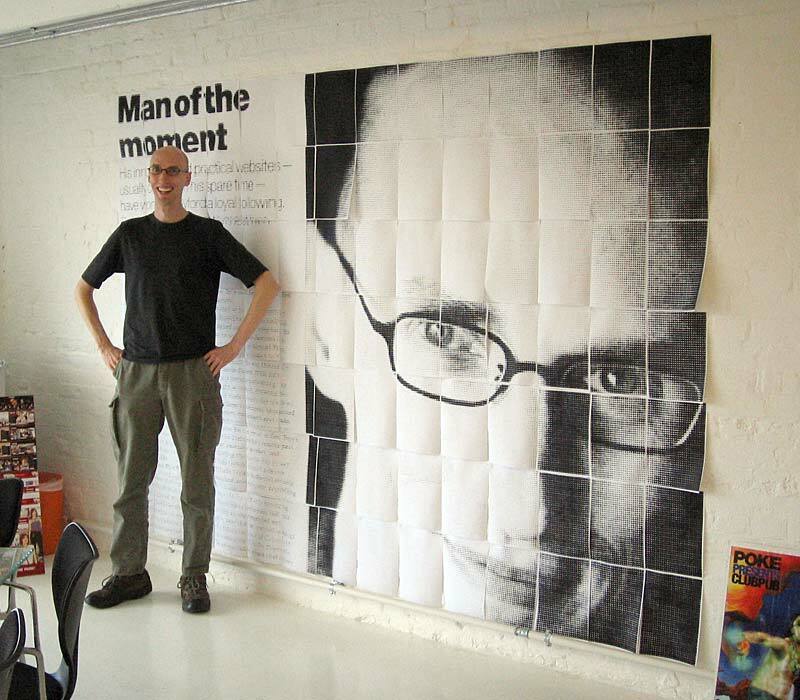 Those cheeky chappies had Rasterbated the Guardian’s profile of me from last week and stuck my face to the wall. What jolly japes. By the way, if anyone has an account on the Digital Guardian, I’d really appreciate a PDF of the article as a souvenir. Then I can put it away safely before I attempt to tame my raging ego. Thanks.